I can't believe it's been almost a month since my last post - just needed to take a little step back from the blog world while I finished up this semester! But I'm back and wanted to share some of the things I've picked up recently...4 from Forever 21 and one from a IG sale. I honestly thought I had come to the age where I would no longer shop at Forever 21...when I was in the store a couple years ago I felt super uncomfortable with the atmosphere and noticed I was surrounded by tweens...thinking "OK Emily, the time has come...you're done shopping here". But, I've come to find that even though I'm not going to go in the store anymore, I'm okay with still scooping up a few things from their online store from time to time (especially with the addition of their more mature/contemporary line, Love 21). So here is my latest F21 haul...which should be arriving at my house by this Friday. I found myself drawn to a lot of bohemian-inspired items, maybe all those IG pictures of Cochella the past couple weeks have rubbed off on me?! hope you had a good break! :) that dress is gorgeous! i agree about the whole age thing at forever 21, some of their stuff is great! some.. not so much. haha. 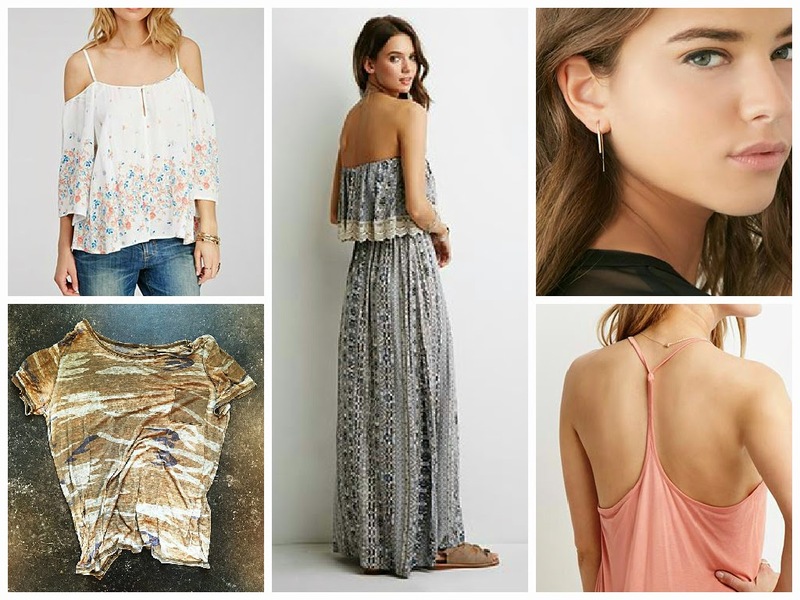 I love all of your picks- F21 has so many great things lately! I had really bad luck with a maxi from there once-- it shrunk in length like 4 inches from just washing it in cold water, so I've been scared to buy another one, but that one is so cute!